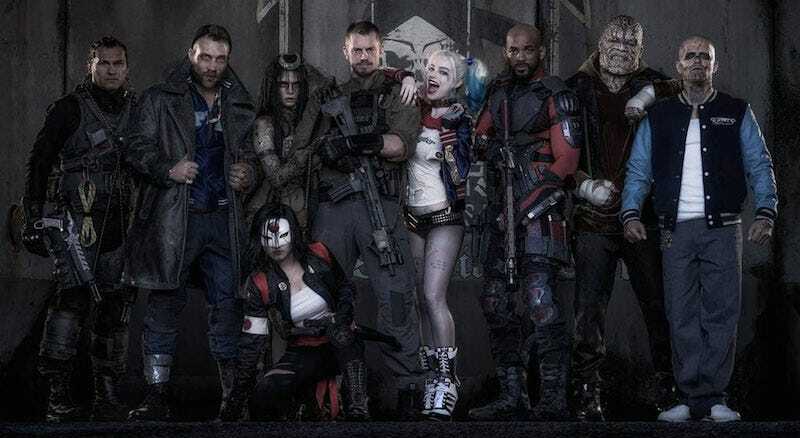 Promotional Suicide Squad photo via Warner Bros.
Warner Bros. Montreal has cancelled their long-rumored Suicide Squad video game, sources tell Kotaku. The studio will now focus mainly on their other big project, a Batman game starring Damian Wayne. Executives at Warner Bros. decided to axe the Suicide Squad game earlier this month following a long period of turbulence at WB Montreal, according to three people familiar with the studio. The game, which would star DC Comics’ eponymous band of anti-heroes, had been in development for at least two years. Hints of its existence had been floating around for just as long. I’ve heard it was a co-op game—and that it failed to impress Warner Bros. management during greenlight meetings—but not much else. Many had assumed WB Montreal’s game would come out alongside the movie this past August, but that release came and went with no word from Warner Bros. Games outside of a mobile tie-in. Now it’s clear: Unless they revisit Suicide Squad at some point in the future, the game isn’t happening. The cancellation of Suicide Squad comes after a year of shake-ups at WB Montreal. Earlier this year, WB Montreal’s top bosses including studio head Martin Carrier and executive producer Reid Schneider left the company. At the end of November, Warner Bros. hired a new studio head: Stéphane Roy, who was previously an executive producer on Deus Ex: Mankind Divided at Eidos Montreal. We don’t know much about WB Montreal’s Damian Wayne game, which was also rumored earlier this year. We’d originally heard that it would be revealed at the beginning of December, but given the studio shakeup, it’s not surprising that they haven’t announced it yet. This Batman game may not be out for a while. Warner Bros. has not returned a request for comment. An Interview With The Local TV Producer Fired For A Graphic Calling Tom Brady A "Known Cheater"